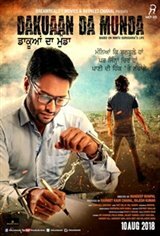 The film is based on the acclaimed book "Dakkuan da Munda," an autobiography of famous writer and journalist Mintu Gurusariya. Mintu became a drug addict when he was a young Kabbadi player and exposure to drugs also introduced him to the world of crime. Today, Mintu is an inspiration for the youth and their families as having managed to break the vicious cycle of drugs and crime.